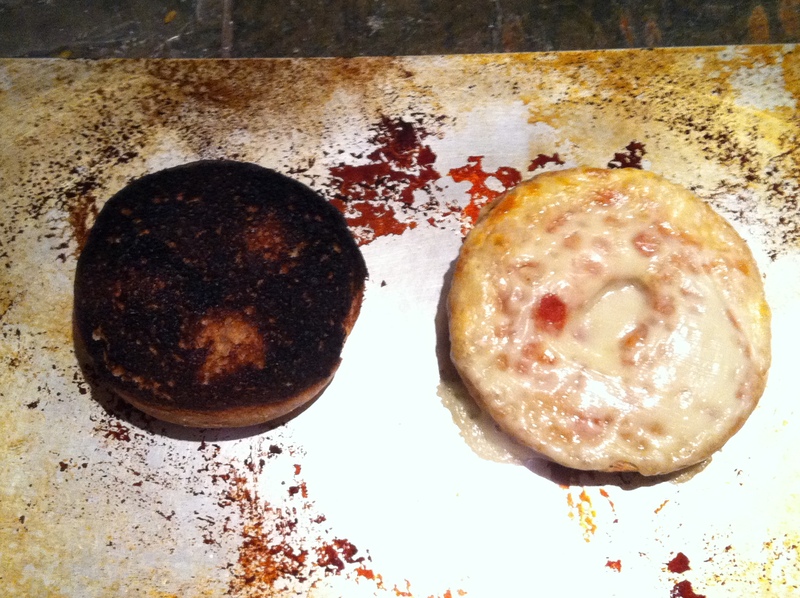 Today, I tried to make a pizza sandwich. To quicken the process, I used the broiler. I also didn’t have pizza sauce, so I used tomato soup, which the bread quickly absorbed. Much like a sponge. This isn’t a cry for help. Until next time! I haven’t been as diligent about updating this as I’d hoped, but I’m feeling more motivated than I was. So, let’s get to it! I made this recipe a while ago, and I’ve made it before. I originally got it from an old roommate and college friend of mine, Becca, who really should have her own cooking blog because she can actually cook. The food prep is quick, cook time is less than an hour, and the results are really a crowd-pleaser (I think I’m still in magazine-writing mode from this morning’s internship…I need a beer or something). You can find a version of the recipe here, which I used as a guideline. 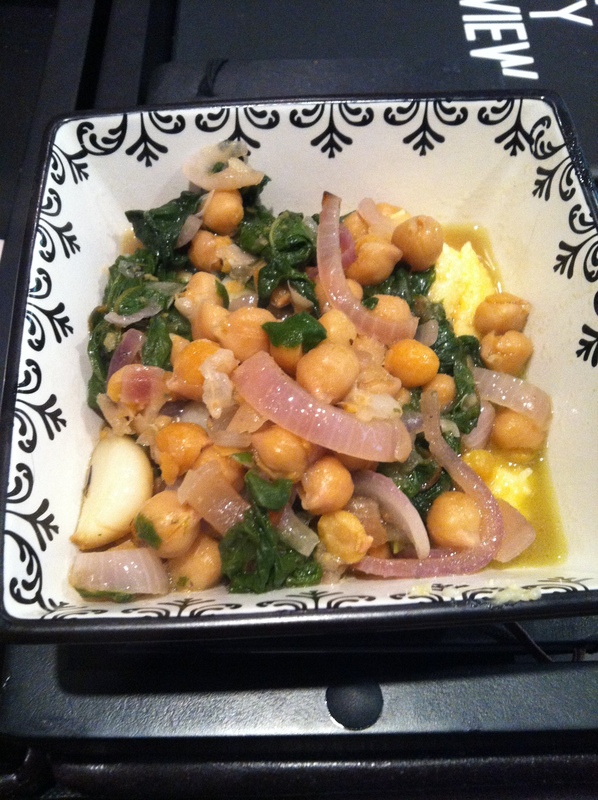 I serve this dish—garlic roasted chickpeas and swiss chard—over cheese grits, because they are probably the most unhealthy thing you can make or eat, aside from chocolate cake with icing made of french fries. 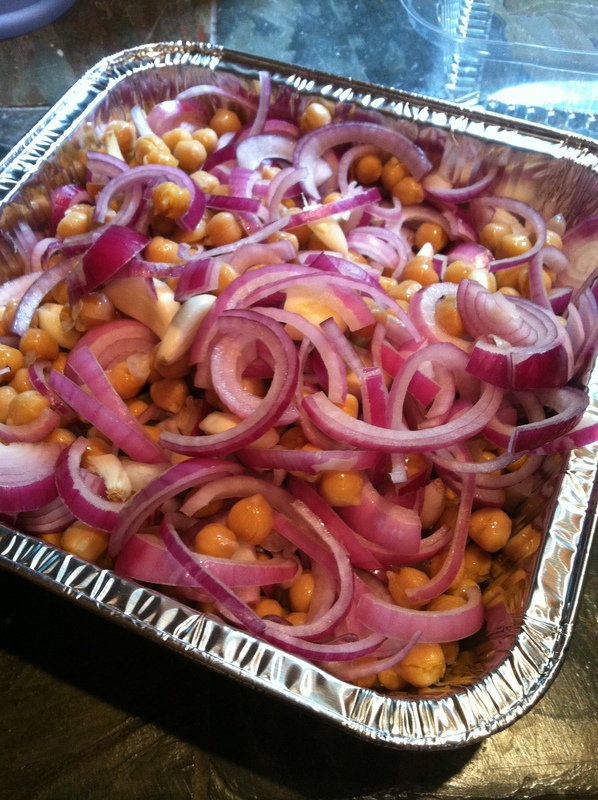 In a baking dish (mine literally won’t fit into my EZ-bake because it’s too big, so I used a small, disposable casserole dish), combine the chickpeas, whole cloves of garlic (peeled—of course), and two of the sliced shallots. Sprinkle with coarse salt and pepper, and then drizzle your olive oil over the concoction. 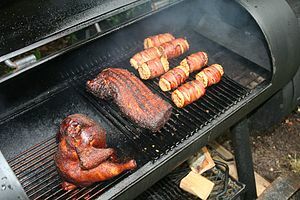 I used my hands to incorporate everything before wrapping it in foil and sticking it in the oven, preheated to 350 degrees. Bake this for about 45-55 minutes, or until the garlic and shallots are nice and soft, like an oven-baked baby’s bottom. Heat some olive oil in a pot on the stove, over medium heat. I say “some” because only an OCD person would measure for this kind of thing. 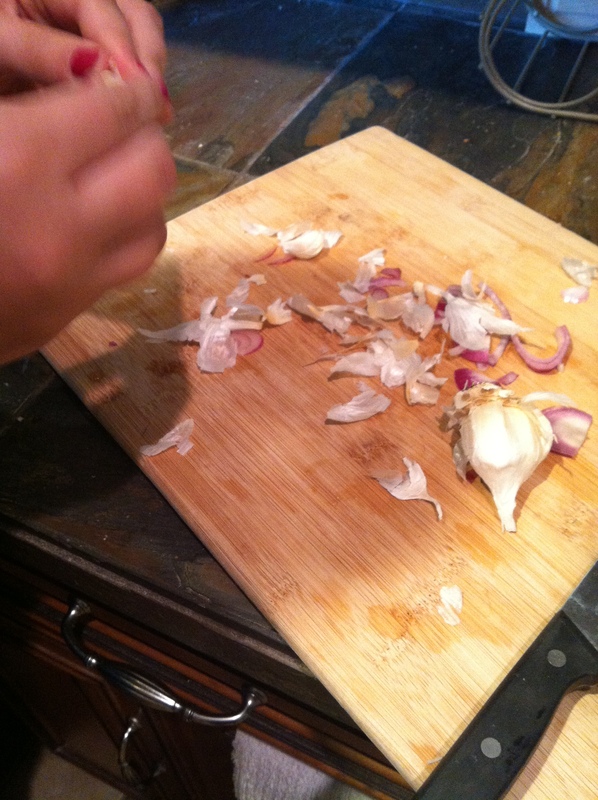 Add the remainder of your shallots and cook them for about 10 minutes. Add in the Swiss chard, which, I forgot to mention, you need to tear into strips, and let it cook down. 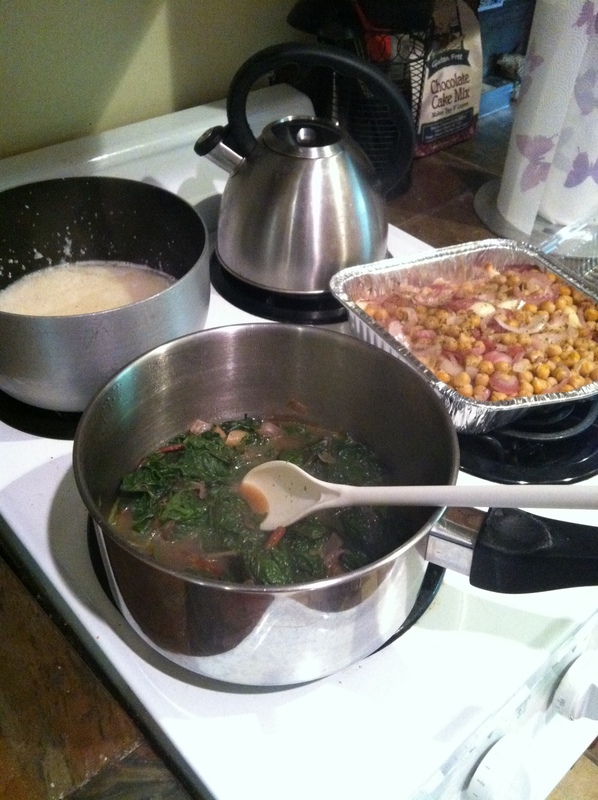 Pour the broth over the chard. Since I did not have vegetable broth, I dissolved a veggie bouillon in hot water. 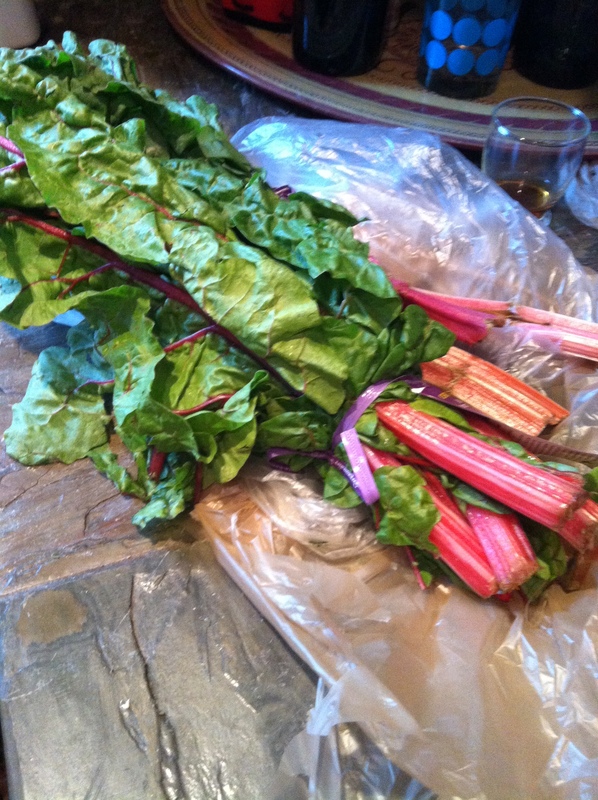 Cook the chard until it looks done. If you have eyes that function, you should be able to tell. Once the chickpeas are finished roasting, add them into the chard and blend. I cooked some grits on the side with sharp cheddar and Monterrey jack cheese and plated the food in bowls—first the grits, then a healthy heap of chard and chick peas.